The August 2008 conflict in South Ossetia was the first time that many in the West were aware of either South Ossetia or Abkhazia. Both regions fought bloody wars of independence with Georgia in the aftermath of the breakup of the Soviet Union. Between 1992 -94 thousands died. There were allegations of atrocities and ethnic cleansing on both sides. Buildings and infrastructure suffered great damage. Abkhazia and South Ossetia both later declared their independence. Georgia has refused to recognize them and has enforced an economic blockade to force reintegration. The international community, with the exception of Russia, has turned a blind eye. Without widespread international recognition, the airports are closed, the economies have stagnated and the people live in poverty. 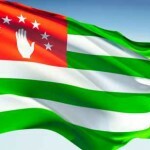 Abkhazia has a long history. It is a small country on the southeast shores of the Black Sea. With dramatic mountain scenery, beautiful beaches and a subtropical climate it has been a destination for travelers since the era of ancient Greece. An Abkhazian Kingdom was established there more than 1,000 years ago. When the Abkhazian region was absorbed by the Russian Empire in the 19th Century many Abkhazian Muslims fled to Turkey, where there is still a sizeable Diaspora. Those who remained in Abkhazia were mostly Christian. In the chaos following the Russian Revolution of 1917, the South Caucasus region was briefly included in an independent state. Eventually, the Soviet Union established control. Later, the Soviet dictator, Josef Stalin, a Georgian, decided that Abkhazia should be included in the borders of the Georgian Soviet Socialist Republic. The Georgian S.S.R. was one of the 15 republics that constituted the Soviet Union. However, power still devolved from Moscow. During this period the Soviet government moved thousands of ethnic Georgians into Abkhazia. Unique during Soviet times, Abkhazians protested to be given Republic status and, while remaining an integral part of the Soviet Union, to be outside of Georgia’s borders. After the Soviet Union dissolved in 1991, only the 15 Soviet Republics were allowed to apply for recognition by the United Nations. So Russia, Ukraine, Georgia and others could apply, but Abkhazia could not. This meant that Abkhazia was condemned to be included inside the borders of a nation that many residents viewed as an occupier. Effectively, the United Nations accepted Josef Stalin’s decision on Georgia’s borders. The overwhelming narrative in the Western press since the August 2008 conflict was that Russia invaded Georgia. Mikhail Saakashvili was reelected President of Georgia in 2008 on a promise of reintegration of South Ossetia and Abkhazia. August 8, the day of the start of the 2008 Beijing Olympics, Georgia shelled Tskhinvali, the capital of South Ossetia. Russian peacekeepers, who had been in place since the conflict of the mid 1990’s, and hundreds of Ossetian civilians were killed. OSCE monitors have stated that they believed that Georgia started the conflict with indiscriminate bombing of civilian targets. South Ossetia and Abkhazia have significant Russian minorities and have long looked to Russia for protection. Despite President Saakashvili’s apparent belief to the contrary, it was absolutely predictable that Russia would respond militarily. In the aftermath, Russia and Nicaragua became the first nations to officially recognize South Ossetia and Abkhazia. Widespread recognition will bring investment and rebuilt infrastructure. Tourism and economic development will follow. There is no reason for Abkhazian citizens to live in poverty when their country has so many natural advantages. I support international recognition of South Ossetia and Abkhazia.